We will be active from VU4 (Andaman Islands) on April 17-24 on all HF bands. We are members of a large international group. Our focus will be on CW (RTTY second). See our propagation prediction page. Some pictures of VU4. You can also visit our group web site. 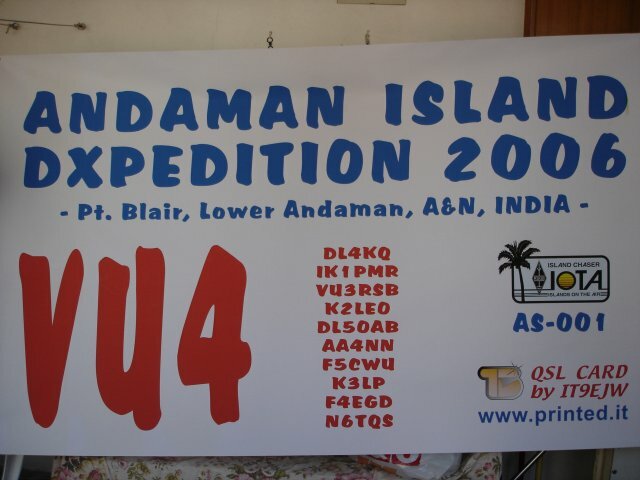 Andaman Islands DX-pedition on DL4KQ web site.